Can I give my dog aspirin and if so, how much can they have? So, what’s the truth about dogs and aspirin, i.e. 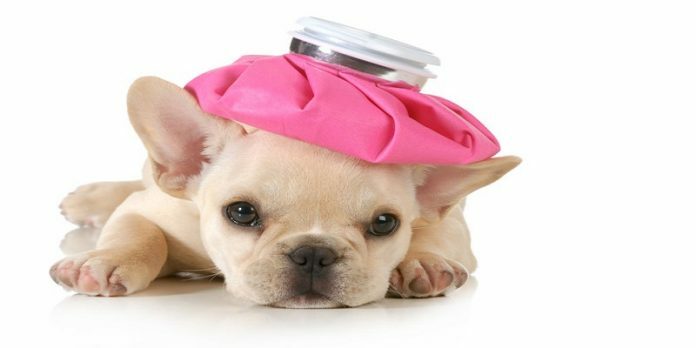 are there any problems with giving dogs aspirin or is it okay to do so? The short answer is that most dogs can indeed safely have aspirin. But that’s not to say it’s a good idea to just start giving dogs aspirin as soon as they start showing signs of being in pain. That’s because while aspirin can provide quick and effective relief from pain for your dog, what it doesn’t do is address the underlying cause of the pain. Nor is aspirin necessarily your best option. There may be other kinder and more natural alternatives that can give greater benefit to your dog, especially long term. So I recommend that you always consult with your vet if your dog is showing signs of discomfort, even if you do first give your dog aspirin for quick pain relief. The correct aspirin dosage for dogs depends on body weight. A quick rule of thumb is that you can give your dog somewhere between 5 – 10 mg of aspirin for each pound of body weight. So as an example, if your dog weighs 10 pounds, try giving them between 50 and 100 mg of aspirin. I recommend starting out at the lower limit and gradually increasing the dosage if necessary. I wouldn’t recommend going above the upper limit. You can give your dog this aspirin dosage twice a day. Note for comparison that a standard aspirin tablet is usually 320 mg and a baby aspirin tablet is normally 80 mg. I must stress that these are only guidelines about dog aspirin dosage, and you should always consult with your vet who will be able to provide you with the best advice for your dog’s particular circumstances. Aspirin is what’s known as a non-steroidal anti-inflammatory drug, or NSAID for short. These drugs can sometime cause unwanted side effects in both humans and dogs. In particular, they can cause internal bleeding and stomach problems, including ulcers. They can also cause sickness and diarrhoea as well as drowsiness and dizziness, and other even more serious and potentially life-threatening complications such as strokes and heart and kidney problems. Long term use of aspirin for dogs can also lead to joint and cartilage problems too. All the above potential side effects are why care needs to be taken when it comes to dogs and aspirin, and why I recommend you always talk to your vet and get some advice. Firstly, you should avoid giving aspirin to dogs who are still puppies. Secondly, you also shouldn’t give it to very small dogs as any aspirin dosage could be fatal for dogs that weigh under 5 pounds. Finally, always start with a small dosage and monitor your dog for any signs of side effects. If you see any, stop giving your dog aspirin straight away and consult with your vet. The answer to the question, “Can I give my dog aspirin?” is a qualified yes. In most cases it’s safe to give your dog aspirin. But there may be other more effective pain relief treatments that your vet can advise you about so you should always talk to them about it. When it comes to dogs and aspirin, there are also some potential side effects you should be aware of and look out for. And you should avoid giving dogs aspirin as a long term pain relief solution.